Every Librarian exercises assessment each time we ask patrons questions like, “Did that resource work for you?” Yet the need to assess the overall library and library services can be an overwhelming task and major example of the behavior of procrastination. Assessment of our academic libraries, is increasing becoming the key to the progress and success of our libraries throughout the academic institutions. At the same time our academic libraries are experiencing dynamic developments, changes in the method of servicing our communities. All things considered assessment of academic libraries is like measuring the mass of a planet, planet mass is determined by gravity, gravity is determined by the impact the planet has on the moons orbiting the planet. Academic libraries importance is determine by impact libraries have on student retention, completion, and success, as the students most often seem to orbit the academic libraries. Unfortunately academic libraries do not have one single determinant like gravity. OR fortunately academic libraries have a plethora of determinants! Just, how do we use them? What questions do they answer? How do we measure them? Such questions, and more, we hope to cover in this Assessment Tool Kit. 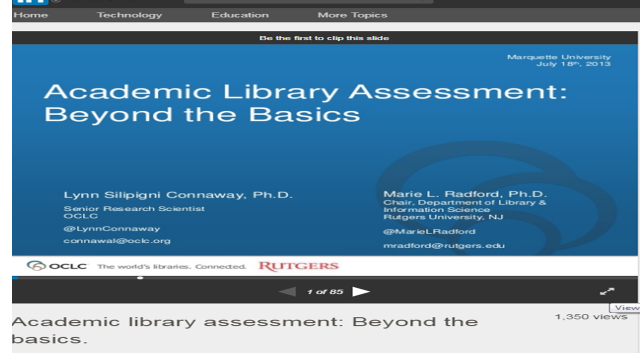 The ALI Assessment Committee wants to provide academic librarians the tools to develop that customized assessment for their library. We want to start with the all-important questions unique to each library, progress to developing plans, identifying tools used, and methods of assessing; cover how results are analyzed, and reporting out those results. 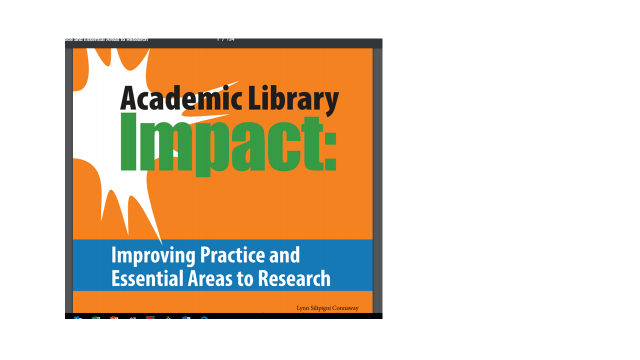 Library Value is now determined by the impact the Library has on the students orbiting the Library so let’s get to the science of assessing that impact.